The Edmonton (Northern Alberta Command) of the Legion of Frontiersmen made efforts to acquire rifles for training at the outset of the 1914 Great War. With the backing of Edmonton’s city mayor and the lieutenant-governor of Alberta, the Frontiersmen finally acquired .45-75 Model 1876 Winchester carbines. These carbines were provided in 1916 by Commissioner Perry of Canada’s mounted police for the duration of the war. Initially, in 1914, the Legion of Frontiersmen requested rifles from the Canadian Militia and they were turned down. The Frontiersmen then went about purchasing .45-70 Peabody breech loading rifles from the United States supplier Remington Arms of New York and subsequently smuggled them across the border. Much later some of these rifles were found in an attic and registered with the Edmonton City Police in 1940. It is not known if any of the Peabody rifles that belonged to the Legion of Frontiersmen survived. The Legion of Frontiersmen command including Legion members designated United Farmers of Alberta Mounted Infantry Corps became the Edmonton Battalion Reserve Militia. They immediately began lobbying authorities to acquire the infamous (unsuitable for the front) and now surplus Ross rifle. It is at this point in August of 1916 that Commissioner Perry of the Royal North West Mounted Police turned the .45-75 Winchester carbines over to the Legion of Frontiersmen for the duration of the war. Collectors are aware that the LOF stamp can be found on some .45-75 Winchester carbines. As well the author has been informed that some of these carbines may be stamped NWMP and LOF and APP. It is worth noting that in 1916, Commandant P.C.H. 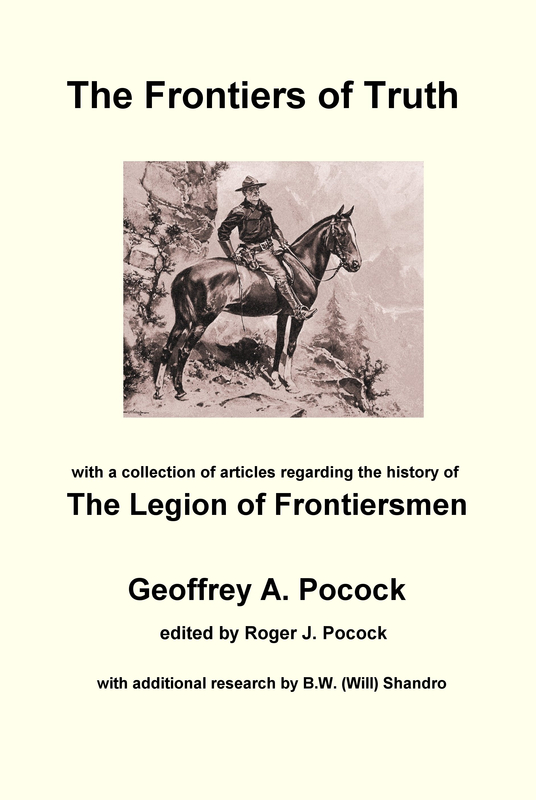 Primrose of the Legion of Frontiersmen became the officer commanding the Edmonton Battalion of Reserve Militia (composed of Legion of Frontiersmen). As well as his work with the Legion of Frontiersmen, Primrose was on the three man board responsible for the formation of the Alberta Provincial Police in 1917. By 1920, P.C.H. Primrose was the Edmonton Police Court Magistrate. Interestingly, both the Model 1876 Winchesters and P.C.H. Primrose had service spanning the mounted police, the Legion of Frontiersmen and the Alberta Provincial Police. “Local Legion to be Battalion of Reserve Militia”, p.5, 26 June 1916, The Morning Bulletin, Edmonton. “Rifles Secured for Reserve Militia”, p.4, 19 August 1916, The Morning Bulletin, Edmonton. “The formation of the Edmonton Battalion Reserve Militia was absolutely necessary in order to give governmental sanction to the Legion of Frontiersmen that they might complete their usefulness…to train men who had to stay at home to be of service in case of trouble arising. By being a body of trained men it frees more men of military age and fitness for actual overseas service. There is no use in loyal citizens saying that when trouble comes he will be there, because without training he would be of no earthly use”. – P.C.H. Primrose, Commandant Legion of Frontiersmen and Officer Commanding, Edmonton Battalion Reserve Militia [former RNWMP Superintendent, Police Court Magistrate, Board Member establishing the Alberta Provincial Police, and later the Lieutenant Governor of the Province of Alberta]. Note: Political correctness and support necessitated the morphing of the already active Legion of Frontiersmen into the “Edmonton Battalion Reserve Militia”, variously called R.M., Reserve Militia, and Edmonton Reserve Militia in the news of the day. Major Primrose, officer commanding the Edmonton battalion of reserve militia, has secured the use of between five and six hundred rifles for the battalion. They are being forwarded by Commissioner Perry, of the mounted police, who has generously loaned them for the war period. They are of the Winchester-Fairbairn pattern, and will be very effective for home defense if they at any time are needed. His Honor the Lieutenant-Governor interested himself in the matter, and it was through his efforts, coupled with the energy of Major Primrose, that the rifles have been secured. The battalion, which numbers about six hundred men, and is increasing in numbers rapidly, will now be able to take musketry drill and also have much-needed shooting practice. Article © 2012 Barry William Shandro. All rights reserved. This article may not be reproduced in any form, in part or in full, without prior permission.